RUDN astrophysicists have suggested an approach to simplify calculations of observable effects in the vicinity of black holes to which the mathematical apparatus of Einstein's classic relativity theory does not apply. The results of the work were published in Physical Review D. According to the theory of general relativity, the movement of any massive body causes the occurrence of space-time ripples called gravitational waves. They were first registered in 2015. Gravitational waves are echoes of the merging of massive gravitational objects such as black holes—areas of space-time where gravity is so strong that not even light can escape. The discovery of gravitational waves made scientists reconsider old theories that explain the structure and characteristics of black holes and develop new ones. Einstein's equations turned out to be wrong in some cases. Several generalized theories emerged in an attempt to understand a number of fundamental issues, including dark matter, dark energy and quantum gravity. While waiting for new sightings of gravitational waves, theorists analyzed the existing effects from the points of view of different gravitation theories. Scientists face a number of issues, and one of them is the complexity of calculations—they require processing enormous data arrays and capacious numerical integrations, and moreover, the properties of different parts of space-time may be characterized by several functions. Black holes are described by "elegant" equations only in Einstein's theory, which is the simplest and possesses certain symmetrical features (i.e. if one knows a solution at one point, the solution for the other point, symmetrical to the first one, may be determined automatically). Alternative theories are different. Describing black holes requires complex equations, big teams and supercomputers. Any equation that describes an object or a phenomenon includes several members. Each member corresponds to a certain systemic parameter and is connected to the basic characteristics that are relatively stable (e.g. mass or charge). These connections may be very complex, and specialists often try to avoid them by making assumptions and approximations. RUDN scientists showed in their work that the solution process for certain non-Einstein theories may be simplified. Having compared expected and observed results, they found that the impact of certain members that distort the elegant symmetry is so small it can be neglected. It is easy to verify if these simplified theories describe a space object correctly by entering earlier system characteristics into the equation and calculating its expected present-day values. After the result describing its position, radiation or other measurable parameter is obtained, it should be compared to the actual data. If the values are similar, a simplified equation is considered to be a correct one. RUDN astrophysicists outlined a way for solving one more problem. We might yet lack a true theory of gravitation. In this case, when describing black holes, theorists have to use equations that take the parameters of each particular theory into consideration. Equations like that also require complicated calculations, but the new approach can make them considerably simpler. "The results of our work may be useful not only in the studies of processes in black holes, but also for verifying theoretical predictions and Einstein's theory in general," concludes Roman Konoplya, a co-author of the work and a research associate at the Institute of Gravitation and Cosmology, RUDN. 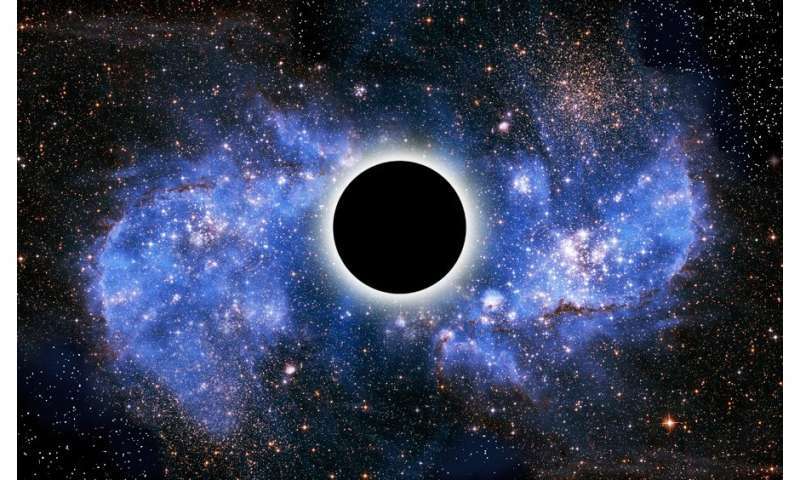 The laws governing black holes differ from what we know about classical or quantum physics. Moreover, it is still unclear if we understand them correctly. Studying black holes will help researchers detect universal development patterns and predict the fate of the universe.